The “Crab with the Golden Claw” was published in 1941, it was followed by “The Shooting Star”, “The Secret of the Unicorn” and “Red Rackham’s Treasure”. All these stories were based in the sea, where there was no use of cars. Also this was a period when World War II was raging and production of new models had been stopped by all car manufacturers, the effort having been diverted to manufacturing war supplies. As a result, whatever few cars appeared in these books were repeat models. So we now move on to “The Seven Crystal Balls”. After Tintin starts investigating the mysterious attacks on scientists using crystal balls, there was an attack at Marlinspike. The perpetrators of this attack escape in a black Opel Olympia. While the Police were looking for this car, they stop a number of cars at a check post. One of these cars was a brown coloured Buick Limited Series 90L. The Buick Limited was manufactured by Buick between 1936 and 1942 and in 1958. 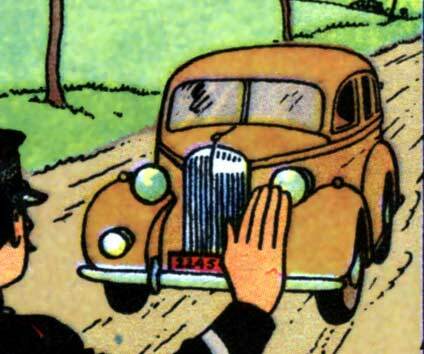 The car under discussion was a 1936 car. These cars were large and shared their chassis with Cadillac D-Body vehicles which represented General Motors largest and most exclusive cars during most of the 20th Century. This platform was used for cars like the Cadillac Series 85, 90, 67, 72, Fleetwood Series 75 and Fleetwood Limousine. These cars were a new series of cars from Buick which were technically superior to their predecessors. They had all steel passenger compartment roofs. Improvements had been made to the suspension and hydraulic braking system, making them safer cars. They also had alloy pistons and improved engine cooling system. These Buicks covered a range of cars like the Series 40 Special, Series 60 Century, Series 80 Roadmaster and the Series 90 Limited which were the largest and most luxurious vehicles in Buick’s portfolio. The Buick 90 body styles were limited to touring sedans and Limousines. 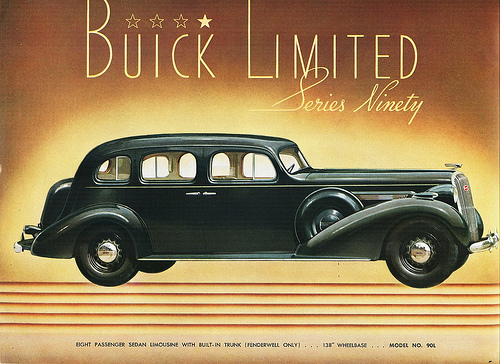 These were the most luxuriously appointed Buicks. 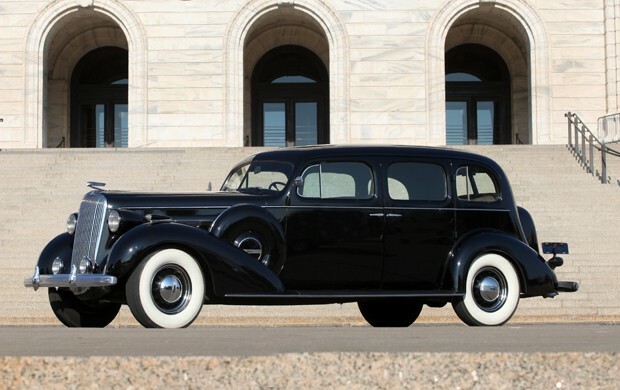 Buicks were popular with the British Royalty in the late 30s and 40s. 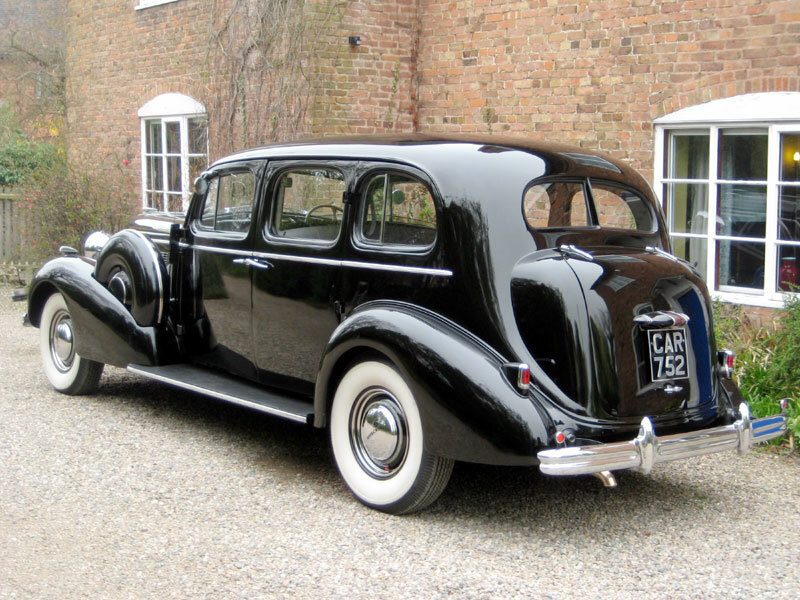 A customised Buick Series 90 Limited was used by King Edward VIII of England who abdicated the throne to marry his lady love who was a divorced American. 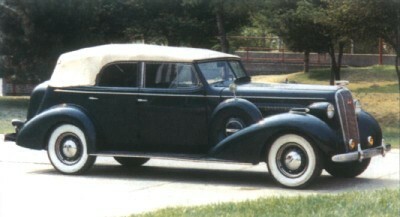 The Duke of Kent, fourth son of King George V also used a Buick Limited limousine. These large cars had 3,505 mm (138 inch) wheelbase. In 1938 the wheelbase was further stretched to 3,556 mm (140 inch). 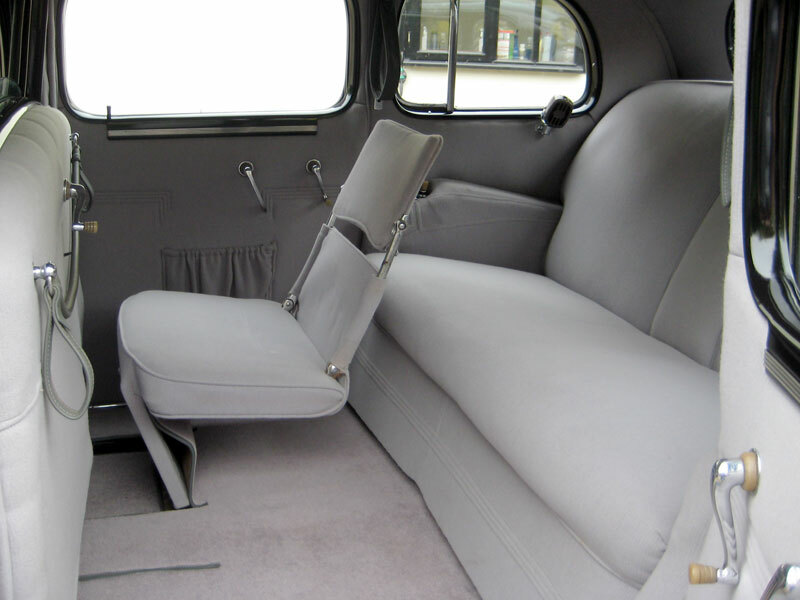 These cars were as well appointed as the as the Cadillac Imperial Sedan and Limousines while they costed one fourth the price of a Cadillac. However, brand name prevailed and production of Buicks remained in limited to between 4,000 to 1,500 per annum throughout its production cycle. These huge cars were powered by a front mounted inline naturally aspirated 5,247 cc (320.192 cu-inch) eight cylinder engine. These massive engines breathed through two valves per cylinder and produced 120 BHP at 3,200 rpm. They also produced a humongous 323 N-m (238 ft-lb) of torques which was transmitted to the rear wheels through three speed manual transmission. Stopping power to these luxury barges was provided by hydraulic drum brakes on all four wheel. Suspension at the rear was semi-floating type. 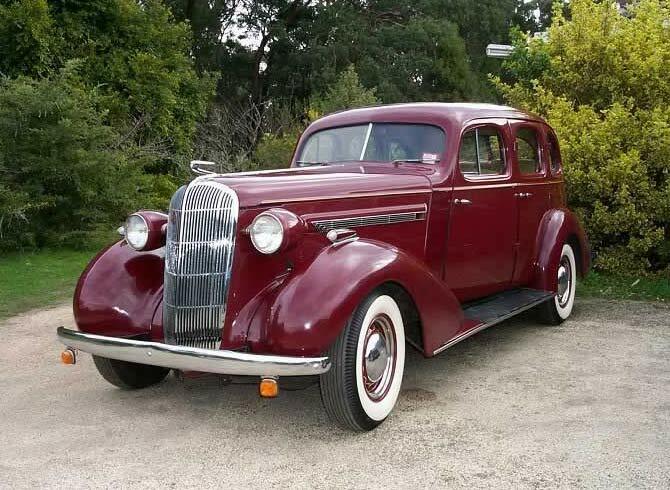 Looks more like a 1936 Opel Super 6 or a 1936 Chevrolet Standard to me (bonnet length; radiator detail). Opel, Buick and Chevrolet were/ are all brands of General Motors. Though at a glance, the car resembles a 1936 Opel Super 6 or even a 1936 Chevrolet Standard, there are subtle differences on the bonnet air intakes. The grille looks similar but the other two cars did not have turn indicators on the fender. In case of the Opel, the headlamps were mounted on the fenders and not on the bonnet. Chevrolet’s bumpers had a different treatment.